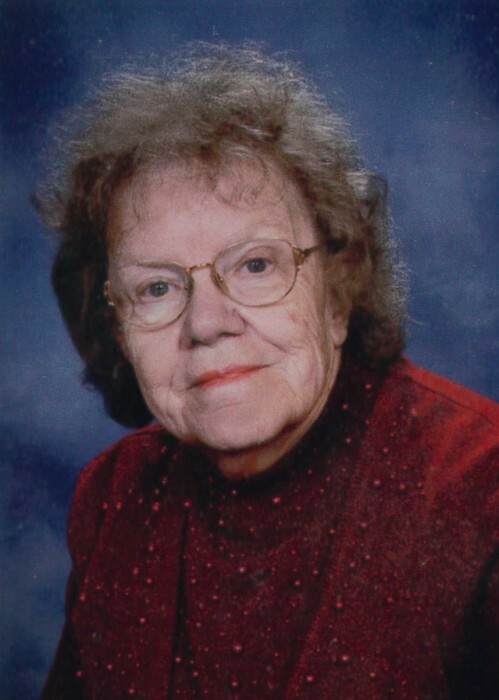 L’Raen L. Melby, 88 of Pardeeville, passed away peacefully Saturday, November 24, 2018 at the Columbia Healthcare Center in Wyocena. She was born December 1, 1929 in Portage to Clarence and Irene (Forbush) Brewer. She attended Pardeeville High School, graduating in 1948. She was united in marriage to Curtis Melby February 18, 1953. She worked for many years at the Columbia Healthcare Center until her retirement. L’Raen loved decorating for the holidays, gardening, and watching Wisconsin sports. She also loved listening to music and spending time with family and friends. She was known as being a pet lover at heart. She was an active member of St. John Evangelical Lutheran Church in Doylestown for many years. Survivors include one Son George (Gloria) Melby; granddaughter Pamela Eastman (Thomas Klappstein); great grand daughter Jessica Eastman (Nicholas Leahy), sister Oma Benzine; brother-in-law Clifton Finger; and many nieces and nephews. She was preceded in death by her parents, her husband Curtis in 1959, sister Iona Finger, brother Bob Brewer, brother-in-law Lyle Benzine, and sister-in-law Dorothy Pitman. Funeral services will be held Saturday, December 1 at 11 AM at Grasse Funeral Home, 401 Angel Way, Rio with Rev. Tim Gumm officiating. Interment will follow at Marcellon Cemetery. Visitation will be held from 9:30 AM until the time of services Saturday. The family would like to thank the staffs of the Remington House and the Columbia Healthcare Center for the special care they gave L’Raen.